Architecture Associates is a design ﬁrm that creates spaces for cultural exchange. We understand that by creating architecture, we also develop interiors, urban spaces, landscapes and media projects. Therefore, we maintain a dialogue and deliver projects with a team across this spectrum. We engage a global network of intelligent, cutting edge thinkers who continuously inspire and feed our research processes with valuable insights and creative endeavours. Our constant inclusiveness makes us natural collaborators. Data Garden is our entry into the National Gallery of Victoria's (NGV) annual architecture commission competition. Our proposal occupies a vital midpoint between the NGV and its future Contemporary site. 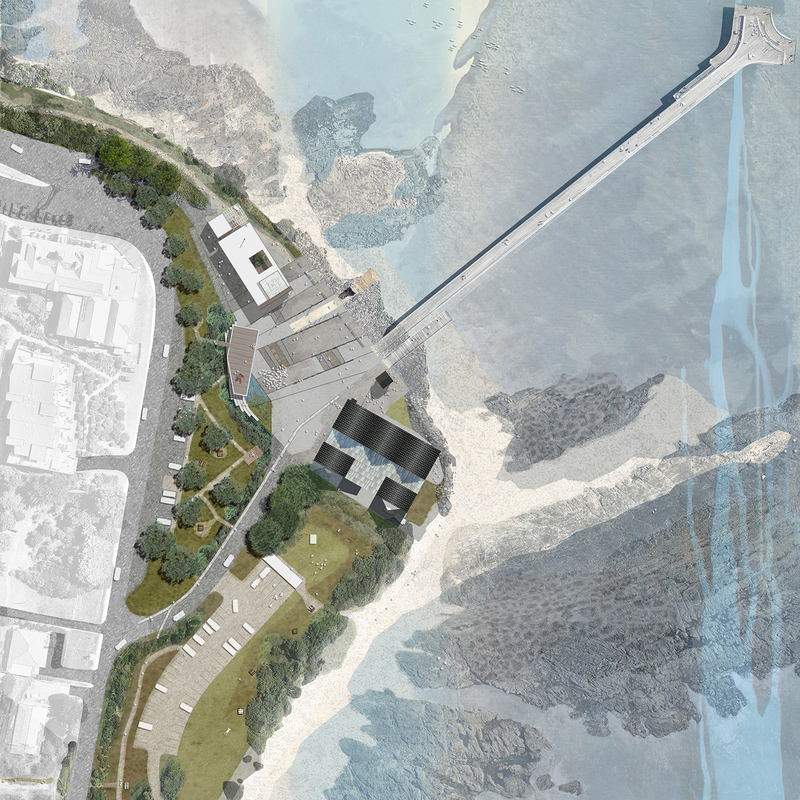 This project is a design for a public space with ancillary buildings situated in the ecologically sensitive Point Grey site that sought to adaptively reuse the existing well-loved community structures as a starting point for a significant renewal project. Our proposal was shortlisted and we were subsequently finalists in this public competition. 'CityLab' is our design for an innovation and creativity hub, in response to the Adelaide Creative Hub competition. 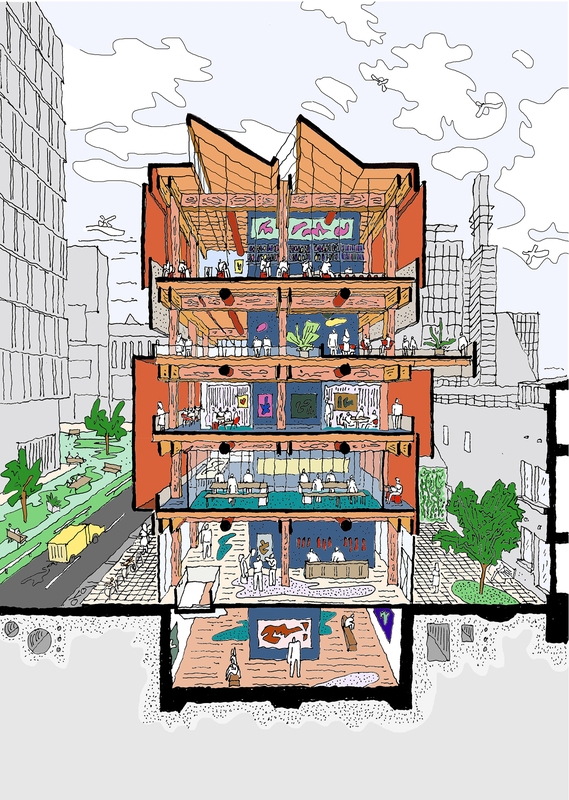 The building provides a centrally located, vertically stacked program which hosts a diversity of cultural, commercial and free space. The architecture suggests a strategic financial model to encourage cross disciplinary interaction as well as support. It does this by creating spaces for anchor stakeholders between community, educational and cultural venues. The re imagining of the former conservatory sees the interior transform into a contemporary space that both references the past and allows the current occupants to play out their daily lives. A considered conversion that captures a families rituals, but also champions flexibility and possibility. A series of connected rooms arranged to form a communal house in our Grampians Generational House project. Coordinated by the Dalseong-gun Office of Daegu, South Korea, the aim of this competition was 'to contribute to the improvement of the quality of life of Dalseong-gun’s citizens by procuring a space for health promotion and sports activities'. In any re-building effort notions of renewal are often championed - we are interested in the layers of what was; deep cultural connections and identities born from the way we live and interact in the family dwelling. We sought here to catalogue housing types in New Orleans to better understand the relationships that were established and now hang in the balance of a devastated landscape. 03/09/18 Lord, Ella. 'On Dining Tables and Divorce', Assemble Papers, May 2018.